It’s back! I can hardly believe it myself. 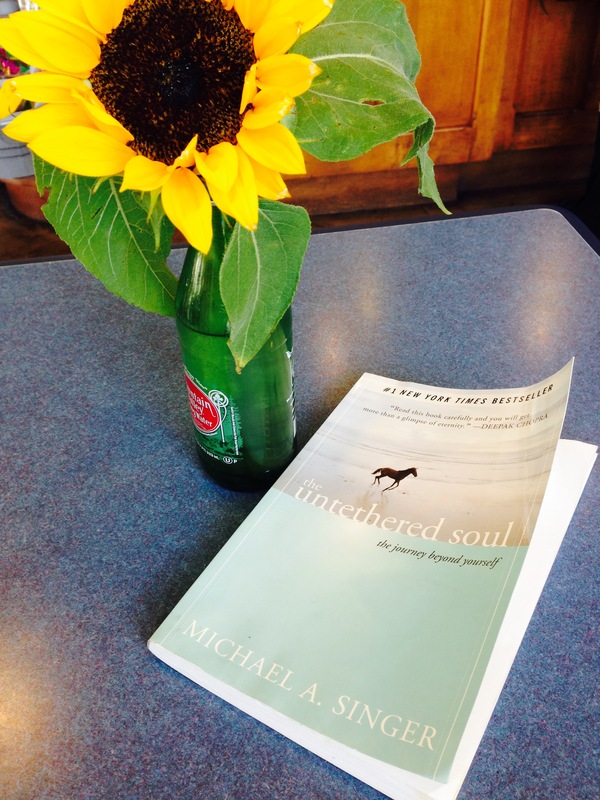 But not to worry, I hadn’t actually forgotten about our chapter summaries of The Untethered Soul by Michael A. Singer. I just got distracted by some other things in life. And speaking of distractions, Chapter 7 of the book is called Transcending the Tendency To Close and it also has a little do with distraction as well. It’s the last chapter of section 2 which has introduced us to the idea of energy…energies inside of us, our reactions to them, and our natural tendency to create Samskaras or blocked energies. This chapter wraps up Singer’s introduction to energy and your ability to cling or release by giving us practical advice for how to NOT develop Samskaras. Here, Singer talks about “falling behind” the energies as they come up, meaning allowing your consciousness to not follow thoughts that enter our mind, but allowing them to pass. These might be immediate thoughts like, “I can’t believe I did that! What would it be like if I hadn’t done that? What should I do next time? I need to figure it out now!” The alternative to following all those thoughts and getting yourself worked up into a state of elevated blood pressure would just be to fall behind those thoughts. Notice them, accept them, then stay centered as they pass. Personally, I’ve felt this risk very acutely in practicing this falling behind tactic. When someone hurts my feelings (or maybe I should say, “When I let myself believe that someone has hurt my feelings,”) I want to be mad and I can feel myself shutting down towards them. In some of these moments I have really asked myself if I will be better off if I let it go in the moment and not follow the tide of anger. Sometimes it’s not an answer that comes easily! My established habit of closing down and getting defensive is a strong one. Trusting that I will be better–even that I will at least be okay–if I let it go and stay centered is a challenge to me. But I keep practicing and more and more I am beginning to see that yes, it is better. It is more free. And this freedom is what we’re talking about. Freedom from being tossed to and fro with every passing emotional reaction. If we spend our lives consciously or subconsciously trying to protect ourselves via anger or resentment or isolation, we’re not really free, we’re not really protected. But let’s talk specifics then. How do we not follow energy? How do we fall behind it? Moments where you can practice this are simply moments to grow. There will be many, many times when energy captures your attention and you flow along with the current of negative thinking. But the more you practice the easier it will become. On a personal note, I have found a particular metaphor that best helps me be able to fall behind the passing thoughts and feelings. At my mother’s house in Illinois there is a porch that looks out over her front yard with the pink-blossomed trees and large ancient oak, past a two-lane country highway, and across the expanding fields and forest on the other side. It is one of the most peaceful places I can think of. There are birds and clouds to watch and maybe a cat sleeping in the sun by your feet. It’s really the perfect place for a cup of coffee or iced tea. Everything around is green and alive. Even the whir of passing cars and farm trucks adds to the total comforting experience. Now, this porch has become my metaphor for falling behind. I sit in my inner seat of witness just as I sit on the porch. I acknowledge the passing traffic of thoughts and feelings just as I acknowledge the traffic on the highway. I chase not after each thought and feeling that presents itself just as I move not a muscle in response to the passing cars. What is your metaphor? 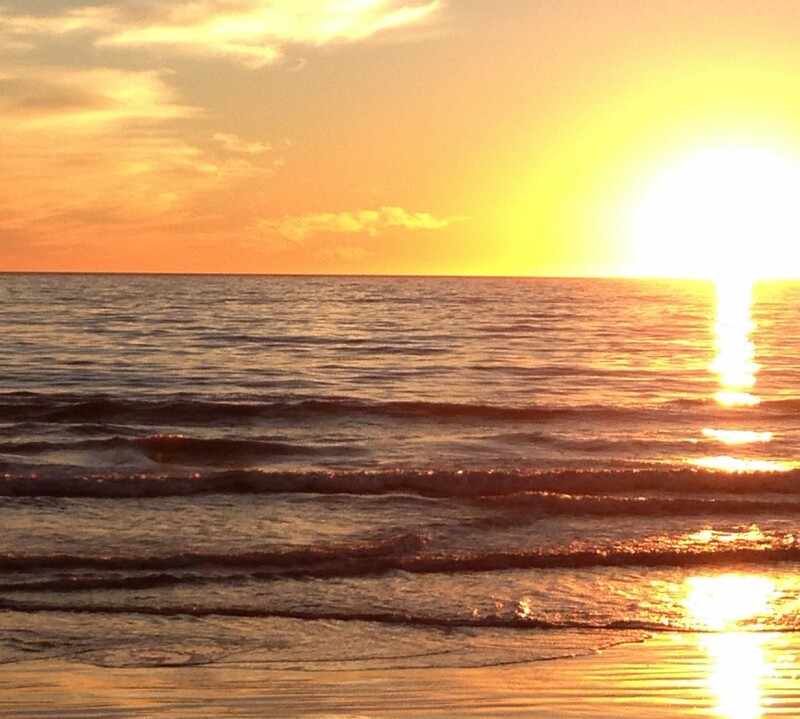 Think of your “happy place” where calm and comfort surround you as you are observant and at peace. Got it? Now what is something that passes through your line of sight as you sit in that place? Maybe they are seagulls, maybe they are bees, maybe they are airplanes or pedestrians. The next time you feel the challenging energy rising in you, imagine yourself in that happy place. That thought, reaction, emotion is nothing more than one of those seagulls or pedestrians. You are not following them, not grabbing them. You are noticing them and letting them pass. Go get your freedom and let’s transcend the tendency to close! Here is an inspired writing I wanted to share with you. I wrote it today as I contemplated and inquired about the social anxieties, fears of perception, and bowing to expectations that we all have experienced at one time or another, some more often than others. They can cripple us so much in our attainment of spiritual and personal growth. What is the answer or nugget of truth that we need to encounter to see these things transformed? Well, I don’t have the answer for that for each person, but I know the words below were part of the answer for me, for this day. You are a crucial part of this wonderful universe and all of the beautiful parts of you are eagerly waiting to express themselves in freedom and creativity. As you read this poem, try saying it out loud with your name inserted. Remind yourself of who you are. You would be surprised at all the ways you are not being you. You will know them when you feel them. If you need them, they will come back around.